Hi, I’m Michael! I believe every student can learn to define and achieve what the highest level of success means for them. I also believe that the educator’s job is to put the resources and supports in place to make that happen. At the end of May, 2016, I began a new career as a Technology Integration Specialist with Forward Edge. I specialize in educational technology, assistive technology, and Universal Design for Learning. My current schedule has me regularly supporting teachers at Felicity-Franklin Local Schools. Each Spring, I also enjoy working as an adjunct professor in the Education department at Wilmington College, in Wilmington, Ohio. I teach “Communication Strategies and Technologies: Meeting the Needs of Students With Moderate to Intensive Learning Needs”. Previously I worked as as Customer Service Coordinator of an IT Department, and before that for nearly fifteen years as Technology Coordinator and Consultant in school improvement and special education for the Region 14 State Support Team in Ohio. Besides taking care of the office hardware, software, website, and network, I did workshops and professional development on Educational Technology and Assistive Technology. In October of 2018, I was invited to present “Important Lessons My Daughter with Autism Has Taught Me” at TEDx Dayton. In June of 2016, I attended my first ISTE Conference. I was privileged to participate in two sessions: ISTE Ignite Sessions – Round 1 and What Makes Ed Tech Stick! 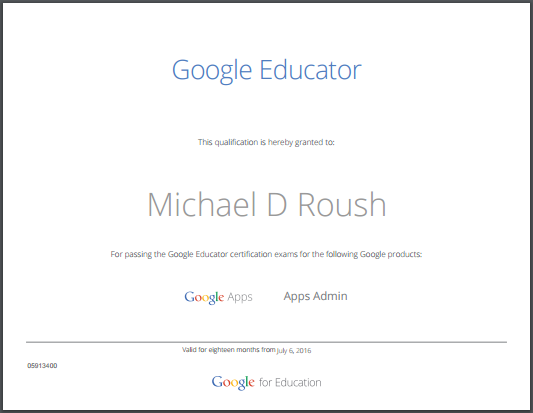 In November of 2012, I received my first “Google Apps for Education Qualification“. 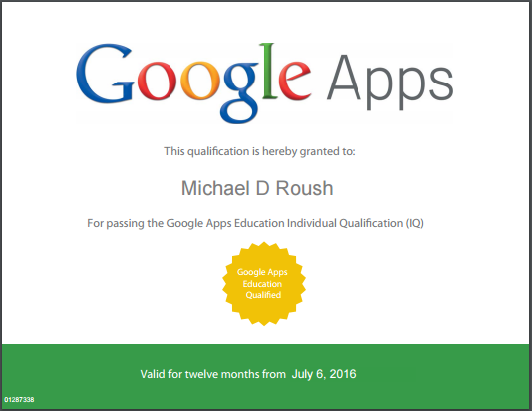 I regularly provide workshops and individual technical assistance in implementing Google tools to increase student access to general curriculum, particularly students with disabilities. This photo is from our tenth wedding anniversary celebration in May of 2017. 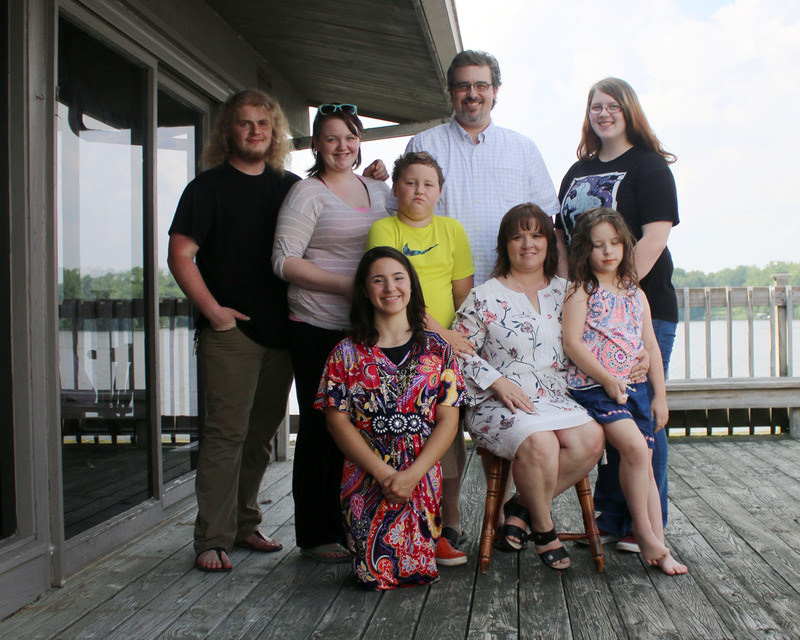 Back row: my son Benjamin, daughter Lydia, son Quenton, me, and my daughter Callie. Front row: stepdaughter Kaitlyn, wife Angie, and daughter Amelia! It’s a rare thing to have everyone together in one place, so we try to get a photo when it happens. I am currently working on two “pet projects”. They’re each related to my occupation and fascination with education and technology. DesigningEducation.org – Five Rules of Design Thinking to Reach All Students. I do this as a full-day or as a one-hour workshop. I also have a half-day version, a two-day version, a three-day version, and a five-day version. EdTechAWARE – Using educational technology to support student learning in five important areas: Access, Writing, Accommodation, Reading, and Engagement. How do I do use the goo.gl to create short URL codes? Thanks and I will share with the others again too.